Thanks for your post. We have been using coe_xfr_sql_profile.sql a fair amount lately instead of hints, but I've never used the force matching option. 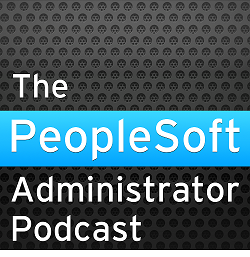 Your comment on PeopleSoft temporary tables makes sense. I would have to go back and check but I've been using hints in PS/Query. I think that the literal operid gets embedded in the generated query but if that is the only difference maybe the force matching would work for PS/Query. All these mechanisms should be treated as short term, I think, where short-term means "until someone can be bothered to change the code". Otherwise, as you say, you run into the situations you highlight and/or a developer changes code and wasn't aware there was a profile/baseline (probably hadn't heard of the feature). At least a set of hints in the code is a red flag to the developer that here is a statement which has had problems in the past and any change should be done with care to ensure that the hintset is still valid or that the entire hintset is replaced (and where that set of hints should probably be the entire outline used in the profile anyway).